As those of us in the United States attend Friday Prayer, the Muslims in Christchurch, New Zealand, are preparing for funerals. Thoughts and prayers are not enough. 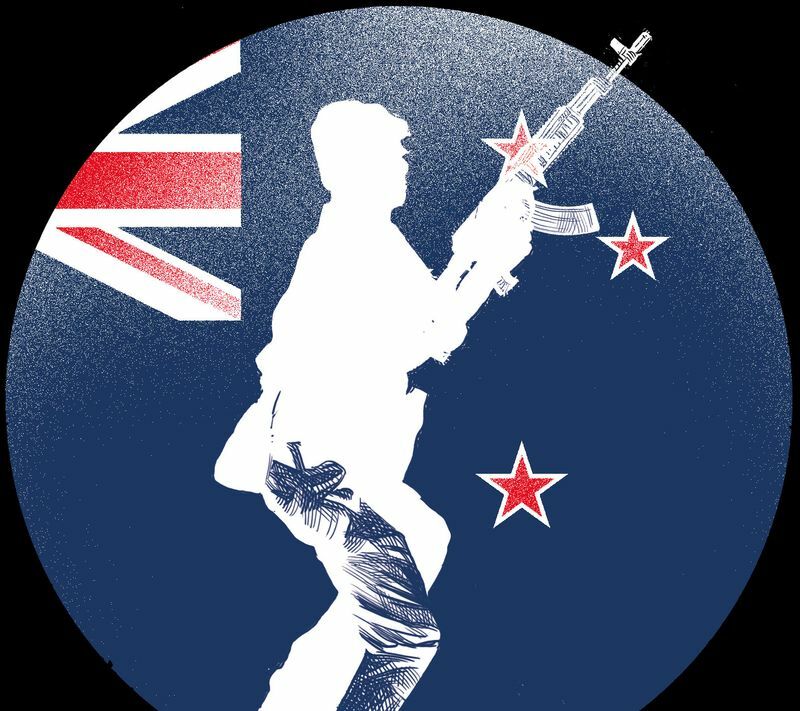 These attacks are the latest manifestation of a growing and globalised ideology of white nationalism that must be addressed at its source — which includes the mainstream politicians and media personalities who nurture, promote and excuse it. We’ve seen this before. The gunman’s justifications for his act of terrorism were similar to those in the 1,500-page manifesto that the Norwegian Anders Breivik posted before he killed 77 people in 2011. Breivik wanted to punish Europe for its multiculturalism and welcome of Muslim immigrants. His manifesto and attacks are said to have inspired the white nationalist Christopher Hasson, who was recently arrested on charges of stockpiling weapons with the desire to commit mass murder, especially against Muslims. If the idea that Muslims are a threat sounds familiar, it’s in part because it was used by US President Donald Trump to argue for a wall to protect America from a “caravan” of Central American migrants seeking asylum. He asserted that “Middle Easterners” were in the caravan, a claim he admitted he could not back up. During a summer trip to England, Trump warned that Britain was losing its “culture” and that immigration had “changed the fabric of Europe — and unless you act very quickly, it’s never going to be what it was.” Arguing for his travel ban aimed at mostly Muslim countries, Trump said, “I think Islam hates us,” lied about seeing Muslims celebrate the September 11 attacks, and retweeted a fringe anti-Muslim group’s fake videos of Muslim refugees committing violence. No wonder the Christchurch manifesto praised Trump as “as a symbol of renewed white identity and common purpose”. It’s clear that the dangers of white nationalism aren’t limited to the United States. This attack is a reminder that this dangerous ideology also threatens immigrant communities worldwide, and that it’s fuelled by leaders around the world. Australia, where the gunman is said to be from, has plenty of its own anti-Muslim, xenophobic rhetoric. The manifesto reveals an obsession with white supremacy, discussing the Battle of Vienna in 1683, which is glorified by white nationalists and Breivik as the critical moment when Europe staved off the Ottoman Empire’s advance and protected itself from Islam. Text scrawled on the gunman’s weapons appears to refer to military battles such as the 1189 Siege of Acre, a victory for the Christian Crusaders seeking to retake Jerusalem from Muslims. He mentioned Alexandre Bissonnette, who shot and killed six people in a Quebec mosque in 2017 and was a known white nationalist with anti-immigrant and anti-Muslim resentment. His ideas — and their sources and supporters — were familiar to me. As a researcher for the Centre for American Progress Action Fund’s 2011 investigation Fear Inc: The Roots of the Islamophobia Network in America, I connected fringe anti-Muslim conspiracies — such as the made-up threat of Sharia in America — to the funding sources, think tanks, media personalities, grassroots groups and politicians who created and promoted them. These entities have worked together to reinforce the message that Muslim Americans are inherently radical and represent a “demographic time bomb” that will overtake the white population. Breivik repeatedly cited these groups and people, many of them now closely linked to the Trump administration. Although they should not be blamed for Breivik’s violence, Marc Sageman, a former CIA officer and a consultant on terrorism, said Breivik nonetheless emerges from the same ideological network. Among white nationalists’ major motivators is “the great replacement” conspiracy theory. They fear that Jews, blacks and Muslims will replace white people and eventually subordinate them. Jews are often viewed as the diabolical head of the cabal, the nerve centre, who use their infinite wealth and power to reduce and weaken the white man. In October, Robert Bowers walked into the Tree of Life synagogue in Pittsburgh and killed 11 Jewish worshippers. He posted on the right-wing social network Gab that the Jewish refugee resettlement agency HIAS “likes to bring invaders in that kill our people” and “I can’t sit by and watch my people get slaughtered.” He also re-shared a post about punishing “filthy evil Jews” for bringing “filthy evil Muslims into the country.” This echoed the anti-Semitic conspiracy theory that Jewish billionaire George Soros funded the migrant “caravan” — a lie that was promoted by Trump and other prominent conservatives. Representative Steve King, an Iowa Republican, recently asked, “White nationalist, white supremacist, western civilisation — how did that language become offensive?” He once tweeted, “We can’t restore our civilisation with somebody else’s babies,” referring to the children of Latino immigrants. Steve Bannon, Trump’s former chief adviser and former head of Breitbart News, has recommended the racist, dystopian novel Camp of the Saints, in which brown immigrants invade and take over France. While news of the New Zealand shooting was breaking, Trump tweeted a link — which he has since deleted — to the home page of Breitbart News, a site that has regularly published anti-Muslim and anti-immigrant conspiracy theories. I didn’t have a good answer. But I know the threat we’re facing isn’t just individual terrorists. It’s the global ideology of white nationalism and white supremacy. We have to take it seriously, and call out politicians, academics and media personalities who give it a platform under the guise exploring of both sides, fostering debate or avoiding political correctness. The cost is too great. Just look to Christchurch and the 49 worshippers who should have returned home to their families and community instead of attending their last prayer.